The United Arab Emirates capital of Abu Dhabi is hosting the biannual International Defence Exhibition and Conference (IDEX) on February 19-23. MOSCOW (Sputnik) — The event has taken place since 1993. Today, it is the largest and most prestigious arms exhibition in the Middle East and North Africa. The event is held under the auspices of the UAE president and with the support of the national Armed Forces at the Abu Dhabi National Exhibition Centre (ADNEC), in the city’s central district. 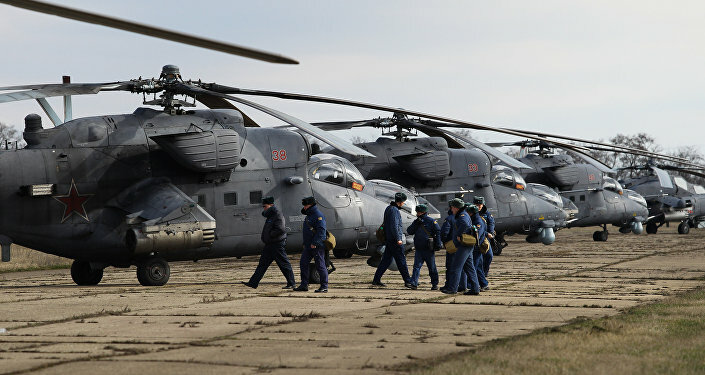 The latest technical equipment and weapons are displayed in pavilions and at an open-air facility. The entire exhibition has an area of 133,000 square meters (1.4 million square feet). IDEX also hosts various meetings, conferences and other similar events. The exhibition includes test-drives, demonstrations, trials and target-shooting practice with various types of weapons. Russia has attended all IDEX exhibitions since 1993. At first, the exhibition’s Russian sections were organized by state arms exporter Rosoboronexport, and then by the Rostec state corporation since 2009. The first IDEX exhibition was held in February 1993 and involved 350 companies from 24 countries. Russia, which also attended the first exhibition, showed its state-of-the-art weapons and military equipment. The 1997 exhibition attracted about 700 companies representing virtually all industrialized countries. The Russian section displayed about 500 of the most advanced and export-worthy weapon types, primarily those intended for regional countries, including T-90S and T-80UK tanks, Kashtan and Buk-M1 surface-to-air missile systems and the BMP-3 infantry fighting vehicle. Russia’s Berkuty (Golden Eagles) aerobatic display team, the first team using attack helicopters, performed demonstration flights at the event for the first time. 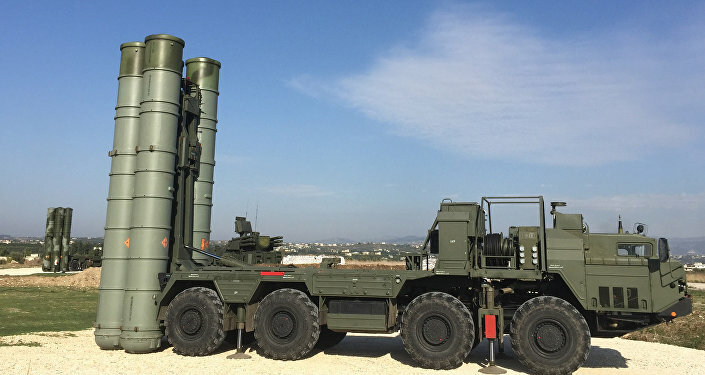 IDEX 1999 included 862 companies from 43 countries, with Russian experts test-firing an S-300PMU-2 Favorit surface-to-air missile system abroad for the first time. IDEX 2007 took place at the new Abu Dhabi exhibition center for the first time, and the show area increased by 30 percent. 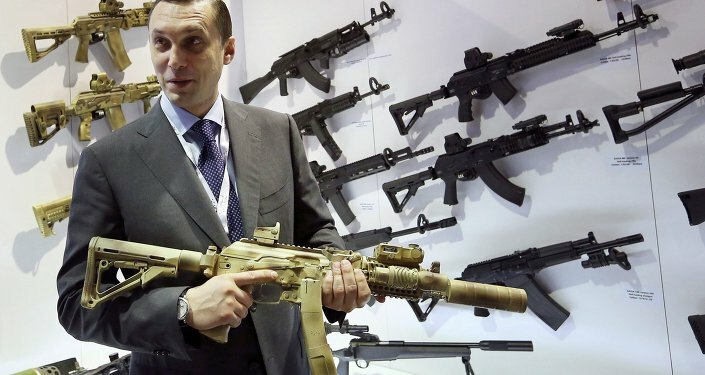 IDEX 2009 involved almost 900 companies, including about 30 companies from the Russian defense industry that manufacture military equipment, missiles, ammunition and riot gear. In 2009, warships entered the exhibition center from the Gulf for the first time via a deeper canal. 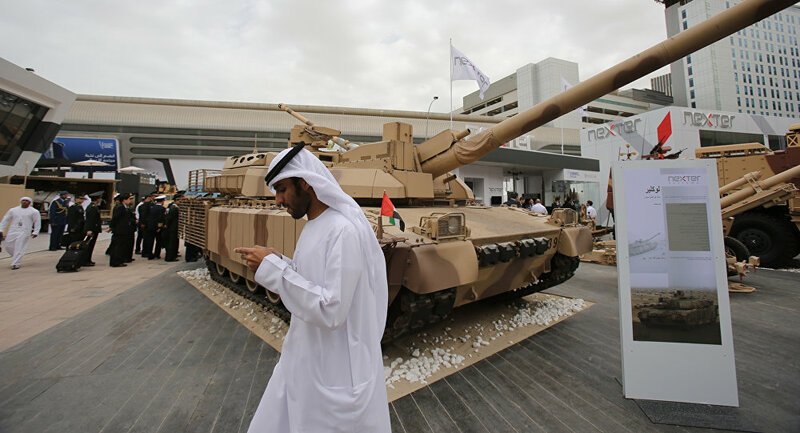 Contracts worth 16.8 billion dirhams (about $4.6 billion) were signed during IDEX 2009. In 2011, the Naval Defence Exhibition and Conference (NAVDEX) was singled out as a separate section, showing the latest shipbuilding technology, naval weaponry and anti-pirate expertise. IDEX 2011 included 1,060 companies from 53 countries. In all, 150 official delegations and 60,000 visitors attended the event. This exhibition’s Russian section featured 3D military equipment models for the first time. IDEX 2013 involved 1,112 companies from 59 countries and attracted about 80,000 visitors. The second NAVDEX 2013 exhibition involved over 80 participants. IDEX 2015 involved 1,200 companies from 56 countries and attracted over 100,000 visitors. The parallel NAVDEX 2015 exhibition included 96 participants from all over the world on an area of about 5,600 square meters. In all, 16 vessels were displayed at the ADNEC Marina exhibition center and at the Mina Zaid seaport. IDEX 2015 hosted the first Unmanned Systems Exhibition (UMEX) that involved over 30 Middle East and international companies. Rostec organized the Russian section at 2015 IDEX and showed over 730 of the most advanced smart weapon systems. Live T-90S tanks, the 57-mm AU-220M automatic artillery system, the export-oriented version of the futuristic Ratnik combat gear and the ADS underwater assault rifle were successfully presented at the show. Saudi Defence Minister, Prince Mohammad bin Salman (C), visits the International Defence Exhibition and Conference (IDEX) in Abu Dhabi February 22, 2015.